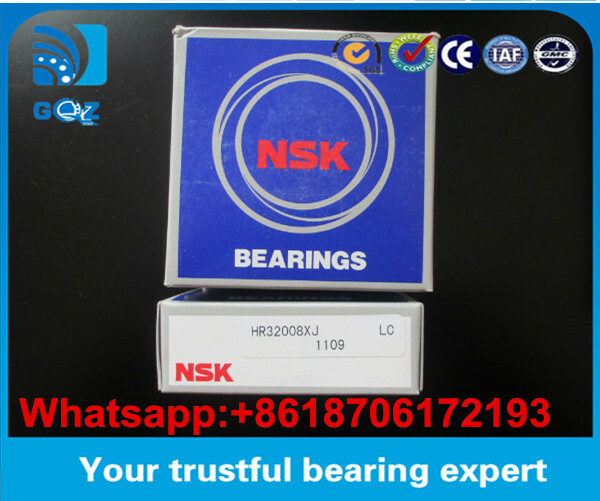 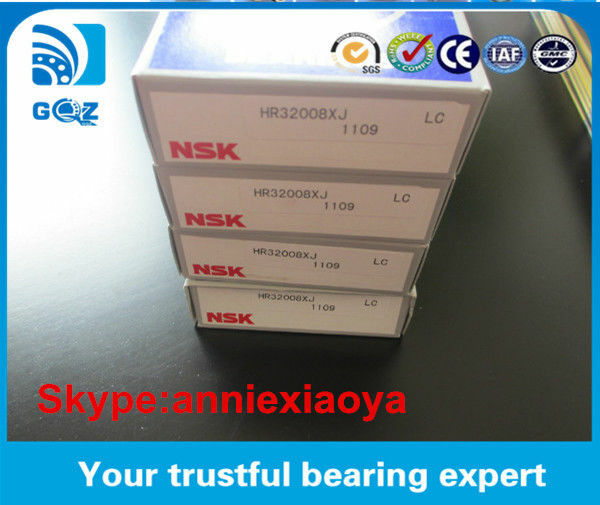 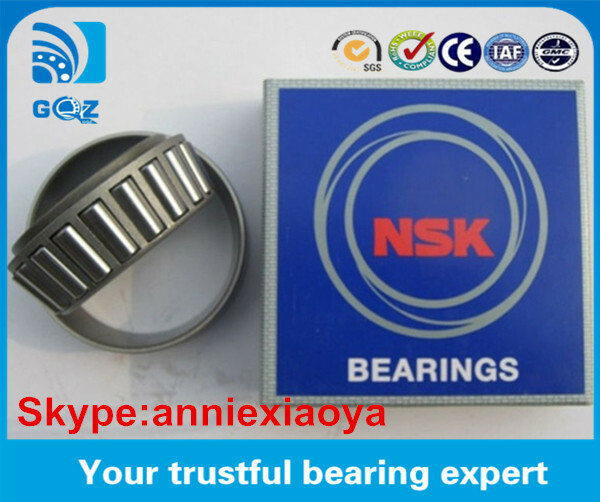 NSK Tapered roller bearings are designed to take combined heavy radial loads and heavy thrust loads in one direction while operating at moderate speeds. 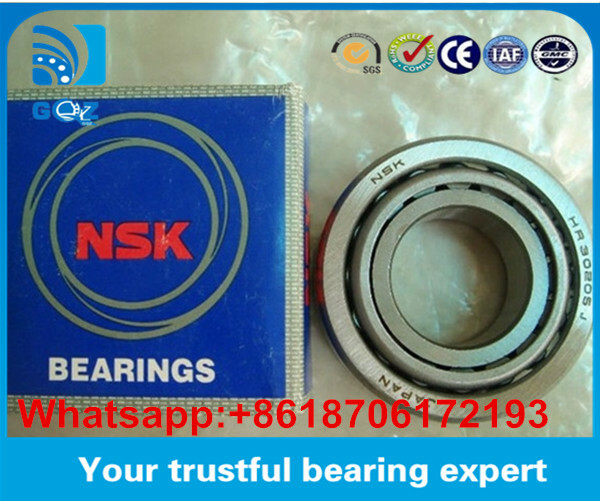 The bearings shown are single row with a cone and cup (inner and outer rings) and a pressed steel retainer. 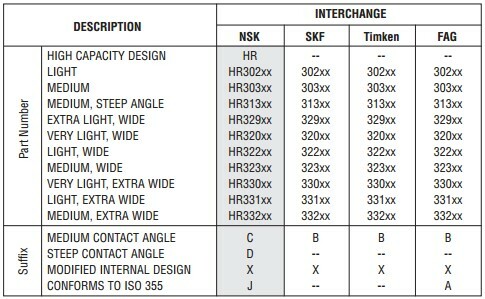 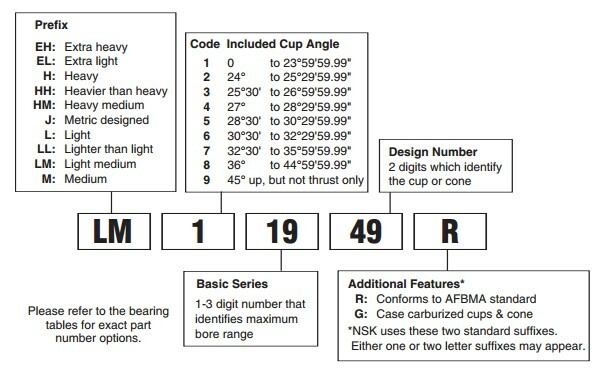 Metric tapers feature a simplified part number for a complete bearing. 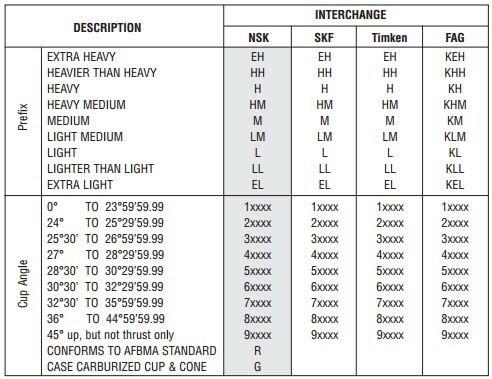 Inch tapers require a part number for the cup and one for the cone. 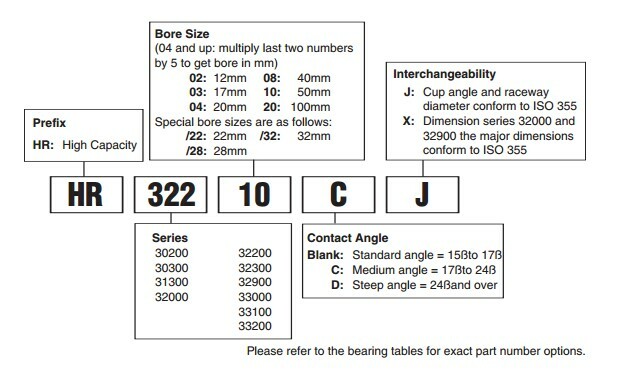 The difference between the metric and inch tapers is only in the dimensions of measure for the bearings.